Because when you spend $2.6 million on a car, you want every part to come out just right. 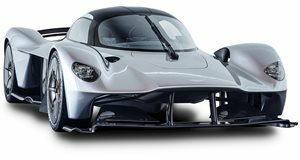 One would be safe to assume that any person who is connected and wealthy enough to afford the $2.6 million Aston Martin Valkyrie is well-adjusted to fitting sessions, probably for the latest custom suit that costs most people their month’s salary. And while a fitting is required to tailor the supercar to its owner, you’d also be wise to imagine that it’s unlike any fitting session they’ve seen before. In fact, the act of purchasing the Valkyrie invites a set of experience most car owners aren’t acquainted with. Speaking with Aston Martin Chief Creative Officer Marek Reichman, Bloomberg learned that Aston Martin is going to great lengths to ensure that none of the 150 Valkyrie hypercars it sells to its buyers are anything less than what they expect. That’s why, aside from scanning each buyer’s body in order to craft a seat that fits without any wiggle room (better stop those caviar munchies), it’ll also send buyers a 1-to-18 scale model of the car spec’d the way the buyer has optioned their Valkyrie. From here, the customer can decide whether or not they like the car and either keep the design as it is or change it. 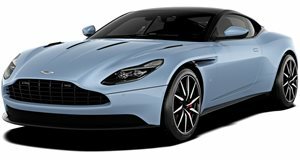 If the buyer decides that something is off, Aston Martin will make changes to the order and send out another draft of the scale model. That level of attention to detail and the underlying philosophy that requires check-ins with the customer at every step of the way extends to every aspect of the Valkyrie, including the seats, dashboard, headliner, trim, and reflectivity of the body panels. It may sound excessive, but then again so is the entire concept of a $2.6 million hypercar. Besides, Mark Gauntlett, Aston Martin’s VIP sales manager, claims that the driver needs to be as comfortable as possible due to the disconcerting driving position. “You’re basically seated in a racing position,” said Gauntlett. “So your feet are quite high up above your hips. The posture feels a bit vulnerable.” We wonder how long those feelings of vulnerability will last when Ferrari FXX Ks are in the rear-view mirror.